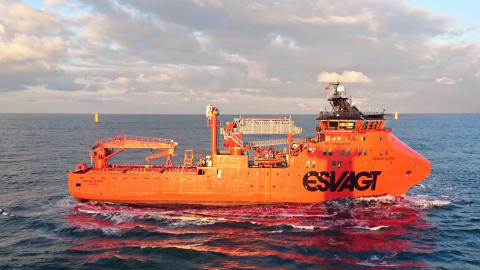 'Esvagt Njord' servicing Dudgeon Offshore Wind Farm. ESVAGT’s purpose-built SOVs for servicing offshore wind farms have proven to be more efficient than anticipated when work in the farms began in 2015. “After two and a half years with SOVs, we can conclude that the vessels can do much more. 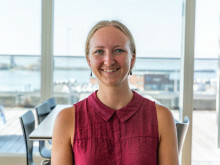 We need to take advantage of that potential so that we can help to drive down the Levelized Cost of Energy (LCOE) from offshore wind,” says Ole Ditlev Nielsen. According to Ole Ditlev Nielsen, a SOV with a capacity of 40 technicians can service an offshore wind farm with 150-200 turbines – more than double the size of current parks. ESVAGT will go into more detail about these sensational results at ACI’s Operating Specialists Wind Vessels conference in Hamburg 27-28 September 2017, where Ole Ditlev Nielsen, as one of the speakers, will present the new opportunities that the increased SOV capacity will open up for. “Our SOVs, equipped with a Walk-to-work gangway and one or more Safe Transfer Boats (STB), have given us the best concept on the market. They bring efficiency and flexibility to operations; offer a wide operational radius in the wind farm and reduce costs as a CTV can be replaced by a STB. At the same time, we are the only ones that can deliver SOV trained and SOV experienced personnel to do the job. These are competitive advantages recognised both by us and by our customers,” says Rune Østergaard.